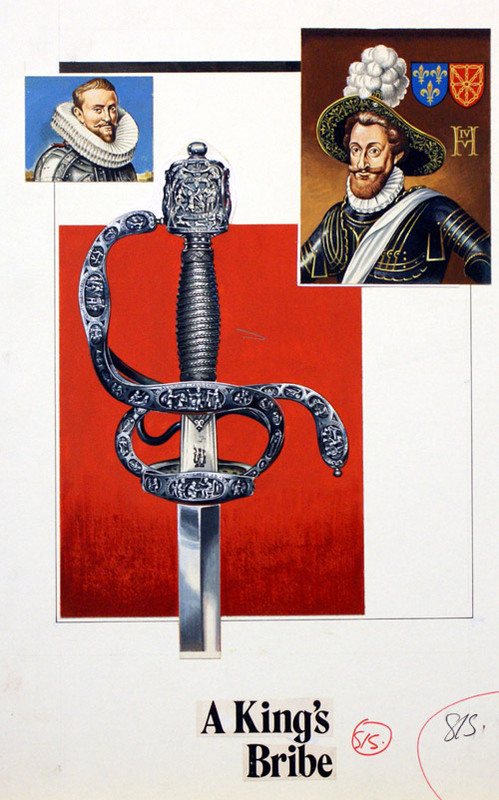 Extremely detailed illustration of an ornate sword's hilt. Original artwork from Look and Learn no. 987 (7 February 1981).